In our 8-part series, How to Find the Perfect Home for You and Your Budget, you’ll learn how to find a home that is the right fit for your lifestyle, needs and, most importantly, your budget. We take you through every single step and show you how to avoid buyer’s remorse. Your first home is most likely the stepping stone for your next home so you want to do it right and set yourself up financially to move up to your next home. One piece of criteria you must think long and hard about is whether “good schools” should be part of your criteria for a home. For some first-time buyers it is, for others, it’s the first piece of criteria that should be thrown out. For many first-time home buyers, they don’t plan to be living in their first home when their children are old enough to go to school. For those buyers, living in a “cool” part of town might be more important at this point in their lives; and they are willing to give up space to get it and to stay within budget. If your first home is going to be too small to raise your family in, throw the “good schools” criteria out and get everything else you want! You have decided that you’ll move when it comes time to send kids to school … and that’s okay! Many first-time buyers do this and it makes their search so much easier. They can focus on a location and budget and not worry if they are buying into a “good” school district. And, when it comes time for resale, you’ll find similar buyers just like you who aren’t buying for schools. If you are going to be buying your “forever” home as a first-time buyer, then YES, you definitely want school boundaries to be in your search criteria. That way you aren’t forced to move out of your home because you didn’t think far enough into the future. This decision is CRUCIAL in your search for a first home. Pause and really think about it. If you decide you are one of the first-time homebuyers who plan on living in their home when their kids are school aged, read on. We’ll tell you exactly how to think it all through and make the right decision. If you are reading this and want to move on up to your next home, check out our advice here — What Move-Up Buyers Need to First Ask Themselves. Agents can’t give their opinion. Many clients are surprised that agents can’t offer any opinions on the quality of the schools or school districts because of fair housing laws. So don’t get frustrated with your agent when you ask about schools! Spend time researching schools and school districts. There are some good online resources where you can start learning about schools — www.greatschools.org and www.schooldigger.com are two such resources. Remember that online ratings don’t always show the complete picture about a particular school or school district, and you should seek out other feedback too. Talk to neighbors and friends, visit schools and meet with teachers and/or principals, and review test scores, graduation rates, and teacher-to-student ratios. Keep in mind that what you may deem as “good” may be slightly different from another family. Some families seek out smaller schools, more diverse schools, ones with more special services, more-community based, or are open to both public and/or private schools. You know what’s best for your kids and family. Spend time researching before you start house hunting. 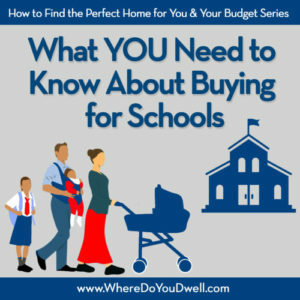 If schools are that important to you, don’t waste time house hunting without having done any research. Really get to know how the schools work in the general area you are considering. Our clients are often surprised that there are more options than they first thought. This can really be a game changer when it comes to your home-buying decision making and where you narrow down your search. Don’t forget to confirm school boundary lines. Always call the school administration yourself to find out what are the school boundaries and if your home’s location is within a certain parameter. You should verify this information since it’s not always obvious or could be listed incorrectly by the seller. It’s not unusual that the school closest to your home may not be your school. Boundary lines do change from time to time … so always double check! Know that boundaries can change. Keep in mind that whatever the boundaries are now, they can and likely will change over the years! As communities grow and change, school districts go back to the drawing board and alter school boundary lines as needed. Learn more about all of the school options available. It’s not always clear-cut when looking at public school districts about what is available for students outside your boundary line. 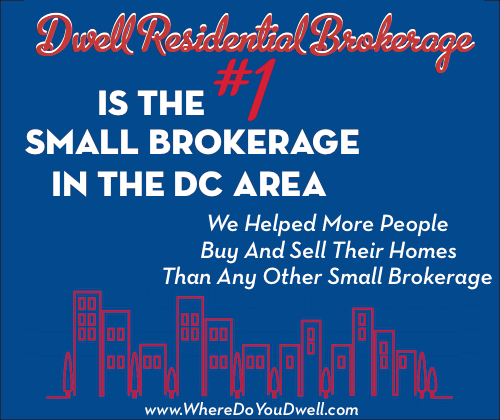 Each district can have varying options and it’s worth your time to find out more information. There may be “special” schools your kids might be able to apply to and attend, such as magnet schools or charter schools. There could be “special choice” school zones that you didn’t know about initially that could change your entire housing search. Don’t rule out private or religious-based schools either and take the time to find out about costs, scholarships, and other requirements. Expect to pay a higher price tag for some school districts. Typically, a better school district means higher home prices (and possibly higher property taxes). So keep in mind the cost to move into a neighborhood with schools that have a good reputation. If you’re facing a higher price tag, then you may have to seek out other financing or adjust your criteria (i.e., living in smaller house or on a busy road). But, on the other hand, you’ll likely have an easier time selling this more expensive home when it’s time to move. You’ll have to decide if it’s worth the extra expense. Next week is the final article in our How to Find the Perfect Home for You and Your Budget series. If you’ve been thinking about buying a fixer upper just to get into a certain neighborhood, then “As Is” Home – Deal or No Deal is for you. Find out the pros and cons of buying a home where the seller plans to sell it just the way it is.